Debt is a funny thing. We all have it. None of us want it. It makes the world go ‘round. And even the most successful people are swimming in it. Credit card companies are making money hand-over-foot by charging interest, annual fees, late penalties, and otherwise. Their business model is impeccable, and nearly unintelligible to the average person. In fact, we spoke to Ovation Credit, a credit score repair company, who revealed that there are a lot of things that today’s top credit card companies don’t want you to know about debt! 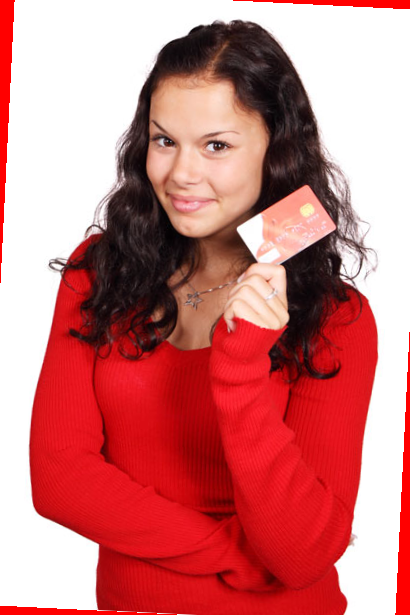 We all think we have a pretty good grasp on the ins and outs of using credit cards. We check our balance, swipe it, and pay the bill later. The system is made to be simple, but it gets a little more complicated when you look deeper. FACT 1: Paying only your “minimum amount due” will keep you in debt for years. BREAK DOWN: It may look enticing, but that small number on the “amount due” portion of your bill is not what you should pay if you want to get out of debt fast. Usually, your minimum payment covers little more than the interest due on your line of credit. Paying on that only is a surefire way to stay in debt for a long time. They won’t tell you this, but it’s a good idea to pay double that amount if you can. FACT 2: You need credit card debt to get anywhere in life. BREAK DOWN: It’s a vicious cycle, this credit business. You can’t get any unless you have some, but you’ll never have some if you can’t get any. Credit card companies won’t tell you that they offer lines of credit with lower limits and cheaper interest rates. They want you to get in over your head, file bankruptcy, and start the cycle all over again until you’re dead in the water. FACT 3: Your debt-to-income ratio is what matters the most. BREAK DOWN: It’s not necessarily what you spend that gets considered by creditors and FICO. It’s your spending habits and earning potential. While most credit card companies won’t tell you this, it is nearly impossible to receive a line of credit that surpasses your annual income. To accomplish this lofty feat, one must demonstrate perfect credit habits for many, many years. After all: it’s not what you make, it’s what you spend. FACT 4: You can cash in your points towards a credit card payment.